Bin Laden has been very active with his communication lately. Releasing three recordings since January was three times more communicative than he was from 2001 to 2007. His latest communication calls for the purge of the UN backed Somali government and its President (Mr. Sharif Sheikh). Last week, a cabinet minister of his (who himself led an Islamist group) was attacked. Although the cabinet minister wasn't killed, members of his security team were. 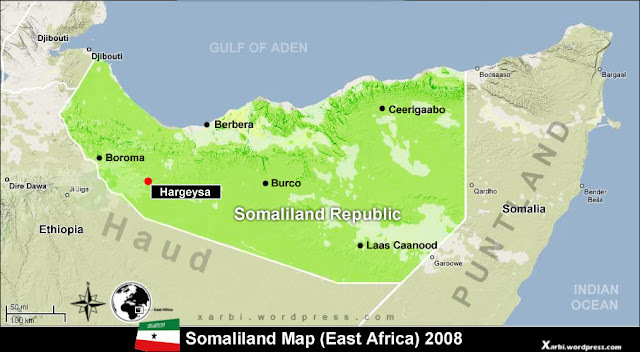 The north-east of Somalia contains an autonomous region called Puntland (also recently with a newly elected government). Puntland is unable to maintain legitimate control over vast parts of its borders (meaning the people of Puntland have a failed federal government as well as a failed provisional government). It also has a lot of beach ports that allow easy passage from the Horn of Africa into Yemen and even Saudi Arabia. Many people take this route on their pilgrimage to Mecca. Bin Laden used to live and work in the horn - in Sudan where he was the engineer for the road networks. He ended up there after he was kicked out of Saudi Arabia for angering the royal family. He only left the Horn to go to Afghanistan because pressure from the United States (during the Clinton administration) was so great. He only went to Afghanistan because he knew the area (from his time fighting, leading and recruiting with the mujahideen). The world has its eye on Tora Bora, the mountainous border region between Pakistan and Afghanistan where most of the world is convinced that he and other elite from al Qaeda and the Taliban are located. Obama is sending in 17 thousand troops, with another 4 thousand promised. Nawaz Sharif is returning to power in the Punjab province, a massive "U-Turn" (the al-Jazeera term) in policy from the Pakistani province. Relating back to my first post with Shaharyar Khan, the former Secretary of Pakistan and his belief that the people of Pakistan want to return to a normal state of affairs and to have positive relations with countries like India. Read: On paper, and if things stay on course, Pakistan will be stable and have de facto control over its land. This is a bad thing if you're bin Laden. I'm suggesting that there are multiple incentives for bin Laden to relocate to Somalia (if he hasn't done so already). This relocation would fit a trend he has shown in the past. The first and most obvious reason to leave Tora Bora/Jalalabad is because if Pakistan becomes politically stable, it will be harder to hide. With the American troop increase it will become increasingly difficult. He needs to go somewhere. Out of all the places in the world, I see a parallel between Somalia/Puntland today and Afghanistan when he left Sudan. He left one place to go to another he is familiar with (Sudan-Afghanistan ~ Afghanistan-Somalia). There is no governing authority in Somalia (making it easy to hide) international presence is almost void (making it a much better place to be than Afghanistan). Salafism, and extreme conservative versions of it are also found in Somalia. Which brings me to this next point- he keeps talking to Somalians. January 15th, on a communication that focuses on Jihad in Gaza he mentions Somalia twice. On March 14th he mentions the country twice again. On March 19th he states "fight on, Champions of Somalia" and dedicates a whole audio tape towards turning over the UN backed President of Somalia. Zawahiri also dedicates a recording "From Kabul to Mogadishu" on February 22nd. Keeping Somalia as a failed state is in his best interests. Lastly, referring back to the Somali beach ports, Puntland/Somalia offer easy access to both Yemen and Saudi Arabia, which is where many prominent scholars (versed better than I) believe his real passion lies. Moving to Somalia would allow greater access to the states he wants to disrupt the most.